Prime Minister Narendra Modi seemed to have some fun, virtually challenging the media to read his mind for 48 hours. On 4 July, even as journalists had been speculating on the shape of the then impending Cabinet reshuffle, he told the Press that it would be an expansion drive, not a reshuffle. Hiding its disappointment, television channels ran tickers on the screen, relaying the announcement, and newspapers the next morning reported that the Cabinet would merely see some new appointments while no NDA MP was gaining or losing a job. With the swearing-in ceremony for the new appointees on 5 July, Modi appeared to keep his word initially. But as is a political commentator’s wont, tongues would wag with whatever information available. So, until the surprise unravelled, there were those usually suspected commentaries like this was nothing but “social engineering”, “with an eye on Uttar Pradesh polls”. Not wrong, but Modi must have smiled at the journalist’s naïveté. And then, by the evening, there were several transfers and demotions and a few promotions. Proven wrong and right in a span of two days, the regular faces on television somehow regained their composure and fired the next salvo — “these 19 ministers have no track record in governance”, almost saying they will prove incompetent. The Prime Minister proved them wrong again, much as the next flurry of information from the government did not quite circulate among the people, thanks to a media embarrassed by surprises in quick succession. The PMO via Ministry of Information & Broadcasting (I&B) sent a directive to DD News that its anchors must deal with the administrative aspects of the reshuffle rather than its political implications. The obedient employees of the State let the panellists know as much while meekly saying “you are not bound as we are; you may talk politics if you want to, but speak more on administration, please”. The prime-time debate on DD News, supposed to be of half-an-hour, then began with a 15-minute report on the curricula vitae of the new ministers. That there was a diktat from the top to play these résumés is not important; every government would like the national broadcaster to project a positive image of the dispensation. The point this article is making is about the number of times scribes frothing at the mouth on Twitter and private news channels were proven to be opinionated without adequate information at their disposal. Indeed, none of the 19 ministers turns out to be a bumpkin, fresh out of a backwater with no exposure to governance, legislatures and other mechanisms of dealing with the people and making policies for them. 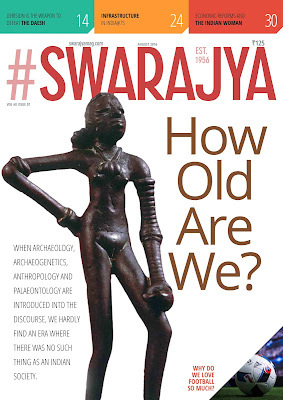 So what if five of them are from the Scheduled Castes, two from the Scheduled Tribes, one from the socially-forward-avowedly-backward Jat community and quite a few from the Other Backward Classes? So what if Modi felt it would be an inopportune time to drop a Brahmin from the Cabinet before the Uttar Pradesh election? Is it possible for any government in India to put in place a council of ministers where you couldn’t tell the caste of any? 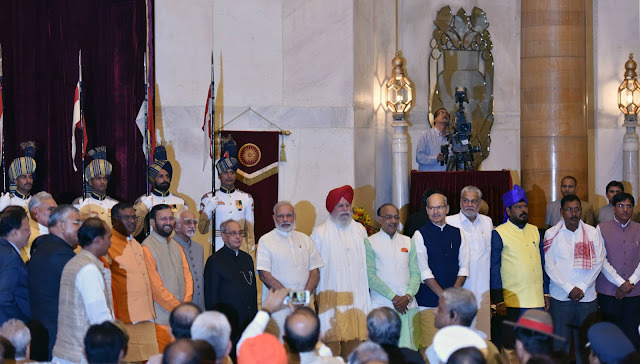 If there is a skew in the Cabinet’s demographics, the commentariat have a problem; if there is quite an even distribution of posts among castes, the commentariat still have a problem! We spent decades lamenting the fact that our ministers are much older than their foreign counterparts. Then Modi introduces an upper age limit of 75 years. The commentariat continue to have a problem! First of all, here is the list to address the issue of “inexperience”. If you were to say that the MPs elevated as ministers have got quite a career in administration, the commentariat would call your “hagiography” was not needed as the info is in the public domain now. But the fact is that such lists in media websites were uploaded late in the night of 5 July after the Doordarshan act. By then, high-profile journalists heading the same media houses had already dismissed the reshuffle as perfunctory. There is one new minister who will get a special mention in the second part of this two-part article. But has the exercise satisfied the supporters of the government? They expected, for example, a promotion for Piyush Goyal, arguably among the best of performers in this government, the other performers being Nitin Gadkari, Suresh Prabhu and Manohar Parrikar. But pragmatic that Modi is, of what practical use was promoting an MoS with independent charge to the Cabinet rank? A pat on the back for good work? Modi is less sentiment-driven than you think. What about the licence to attend Cabinet meetings where crucial decisions are taken collectively? For that, replay the soundbytes of the new ministers after they were sworn in and assigned portfolios. “I will carry out Modiji’s instructions” is more or less what all of them said. “Modiji’s instructions” apply to Goyal, too — more so because he is relatively young with years of politics left in him. Cheerleaders of Goyal, who has endeared to many with his disarming smile as much as he awes the people with his electrification drive, must keep in mind another aspect of Modi’s nature. He does not like any one of the functionaries of his government to be singled out for treatment reserved for a hero. When the media says somebody is getting something from Modi, the MP or minister can be almost sure he is not getting it. Remember 26 May 2014? No speculated minister got the ministry television channels were saying he or she would. Therefore, if you care for Goyal, just temper down your publicly expressed enthusiasm about him. Gadkari, Prabhu and Parrikar were already Cabinet ministers. They couldn’t have been raised even higher, and the fact that they have retained their respective ministries is appreciation enough from the Prime Minister. As for keeping at bay those with a proclivity to create controversies, which is what the media speculated for a whole day, this may not be the only reason for moving Smriti Irani from the MHRD to the Textiles Ministry. Irani did a harm that few or none in the media reported. She turned some eminent supporters of Modi into sworn enemies of his government. If you happened to hang around in the Delhi University campus during the Lok Sabha election campaign, talking to pro-BJP professors who are members of DUTA, the university teachers’ union, and if you happened to talk to them again after the messy settlement of the four-year undergraduate programme dispute, you would know the damage Irani did. “She talked to us as though we were peons in her office,” you would hear these professors say. Forget their feudalistic refrain against the dignity of labour of a Class IV staff; you get the drift, don’t you? In fact, so high-handed was Irani in the MHRD that some bureaucrats in other ministries who learnt of her style of functioning were awestruck by her act of throwing her weight around. When the Ministry of Culture, for example, was taking time to determine an appropriate action against the then secretary in Sangeet Natak Akademi who faced several charges of corruption, some babus in the said cultural department said they wanted the “indecisive” Mahesh Sharma to be replaced by an “assertive” Irani! That was being unfair to Sharma who naturally needed time to hear out all the parties to the dispute and study all the relevant files. As someone who was surprised to see Irani as the education minister on the day of her selection for the portfolio two years ago, I must say she had no vision for the education sector alright, but she was more of a mess maker rather than an education minister who did things that only behove uneducated people. No, Modi couldn’t have been entirely upset about the Rohith Vemula and Umar Khalid episodes. That is a hypothesis of communist newspapers. Supporters of the ruling party were happy that the communists had handed over the plank of nationalism on a platter to the BJP in that duration. Communists received the snub of the century at that time when they felt the urge to carry the National Flag and march through the streets of different cities to prove their patriotism — something they had never done before in the almost 70 years since 15 August 1947. Irani’s problem was that, as an inexperienced politician, she was leaving too many fingerprints of what should have been her covert acts. Take the action recommended against Vemula, for example. Why to send formal letters from the MHRD to the Hyderabad Central University advising suspension of some recalcitrant students when, as the country’s Education Minister, Irani could have derived the desired result through some phone calls to the varsity’s authorities? Shrewd politicians speak through aides; their voices are hardly caught on tape and they do not leave their signatures or their officers’ on tell-tale documents. Will Prakash Javadekar do a better job of it? One is not sure his assertion that he is a product of student agitation under the JP movement helps in clearing impasses of the JNU kind. 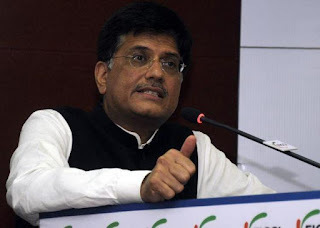 What he does have in his arsenal is a weapon that Goyal possesses, as mentioned above. While not coming across as suave like Goyal, Javadekar can disarm anybody with his polite behaviour and soft demeanour. Irani and he together make a study in contrasting characters. The education sector is not going to be revolutionised in the near future, but the new person at its helm is likely to hit far less discordant notes. HRD is a prominent ministry, and Modi has entrusted Javadekar with the task not only for the negotiating skills that the Maharashtrian brings to the table but also for his remarkable record in carrying out instructions from the PMO. 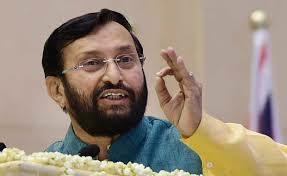 Perhaps no ministry has witnessed a paradigm change as much as the Ministry of Environment, Forests and Climate Change (MoEFCC) that Javadekar headed as the MoS (IC) until a few days ago. The “Jayanti Natarajan tax” Modi mocked about during his 2014 campaign is now a forgotten chapter as are the industry’s clashes with the ministry under Jairam Ramesh. And for this, Javadekar did not offer clearances at the drop of a hat, contrary to the propaganda against him in some newspapers. He cleverly reduced the number of authorities that once signed on the dotted line. Now, if a factory springs up in your locality, which you think was licensed wrongly, blame your state government instead of the Centre. Javadekar’s stewardship of the MoEFCC has been the most remarkable crusade against UPA-era “policy paralysis”. He did not rule that environmental sanctions would no longer be required for potentially polluting industry, which could disturb environmentalists. He just changed the rules so that an applicant no longer had to knock on two doors — Centre and the state — for any given clearance; the provincial authority alone sufficed. Modi had to recognise the wise man’s talent.